3 pack Lemonade crew socks. The original kick-proof socks with non-skid application on soles. . 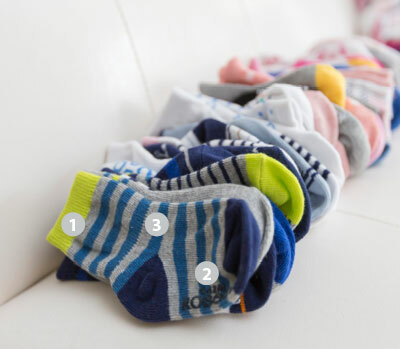 I have loved Robeez for my kids and have used only their socks for my 3rd child now. They never fall off. I was appalled, however, with these. The poka dot ones have the dangerous thread loops on the inside that snag toes and can cut off circulation. I would have only expected this from garbage companies. Terrible. Robeez needs to line these if they are going to be made in this manner. Robeez Note: Bonnie, we are sorry you are having issues with this product. Someone from our Customer Service team will reach out to you to get you a product that is better for you.